River Yacht Club, a visionary waterfront venture in the heart of the burgeoning Miami River District just added a Japanese dining destination to its port of call. This lifestyle location combines gastronomy, entertainment, maritime activities and art into one special river retreat. Newly opened Dashi is a culinary adventure deeply rooted in tradition from a three generation udon maker family in Fukuola, Japan. It is spearheaded by Executive Chef, Shuji Hiyakawa, a protégé of Iron Chef Masahuru Morimoto. Hiyakawa’s modern Japanese concept features ala carte selections ranging from salads, hot and cold soups and udons as well as sushi and sashimi. The House Poke Salad comes with okra, tomato, avocado and ginger miso dressing. Another exotic salad is named Hamachi Shabu-Shabu. 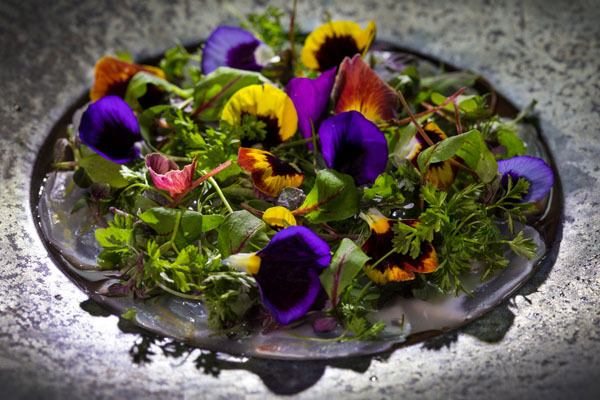 Cold dishes include the likes of Ocean Scallops served with Russian osetra caviar and yuzu, and Hamachi Ponzu served with cucumber, cilantro and shio-kobu.. Hot dish choices include Sea Bass Miso with scallions and hoba to Beef Kakuni, served with carrot, onion, and potato among many other creative creations. Dashi which is Japanese for broth, includes a special selection of soups and udons since Executive Chef Hiyakawa started making udon at a young age in his father’s noodle shop in Japan. A variety of Miso soups as well as diverse udons like Kakiage Udon with vegetable tempura and Beef Udon with braised short ribs are among the menu offerings. The progressive Japanese cuisine is beautifully presented in a modern space with one of Miami’s most coveted water views. 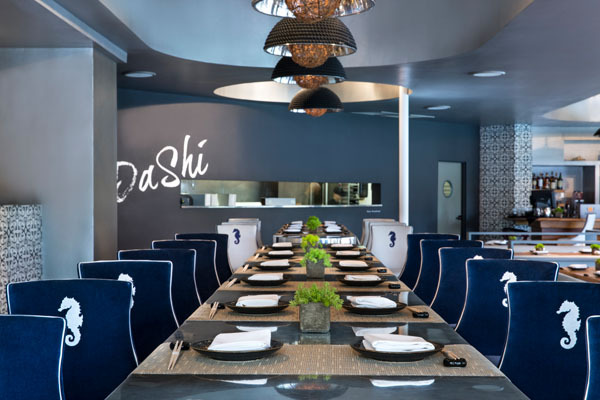 Dashi’s minimalist design captures the essence of Japanese style while embracing the nautical theme of River Yacht Club. Two large communal tables invite group dining while almost every seat in the restaurant offers a water view through the floor to ceiling windows. Liquid libations are prepared and poured from a welcoming bar with a unique selection of Japanese whisky and sakes along with wine and specialty cocktails. After dinner guests are welcome to relax in the outdoor garden and lounge and watch life along the Miami River pass them by. Dashi and River Yacht Club are accessible by land or river with a docking facility. Open for dinner Tuesday through Sunday from 6 to 11 p.m.